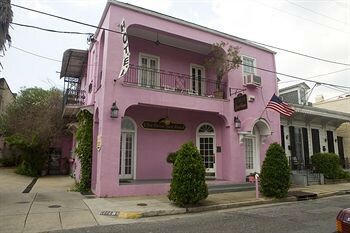 Property Location With a stay at New Orleans Guest House, you&apos;ll be centrally located in New Orleans, steps from Backstreet Cultural Museum and Saint Augustine Church. This bed & breakfast is within close proximity of Louisiana Museum of African American History and New Orleans Jazz Park.Rooms Make yourself at home in one of the 14 individually decorated guestrooms. Prepare your meals in the shared/communal kitchen. Cable television is provided for your entertainment. Private bathrooms with shower/tub combinations feature complimentary toiletries and hair dryers.Rec, Spa, Premium Amenities Make use of convenient amenities, which include complimentary wireless Internet access and tour/ticket assistance.Dining A complimentary continental breakfast is served daily.Business, Other Amenities The front desk is staffed during limited hours. Self parking (subject to charges) is available onsite.